Yes, as feared (see below) rainfall amounts (along with the moisture content of the snow in the Sierra) are now forecast to be extremely heavy the next seven days. That is a 25.4" maximum south of Reno! 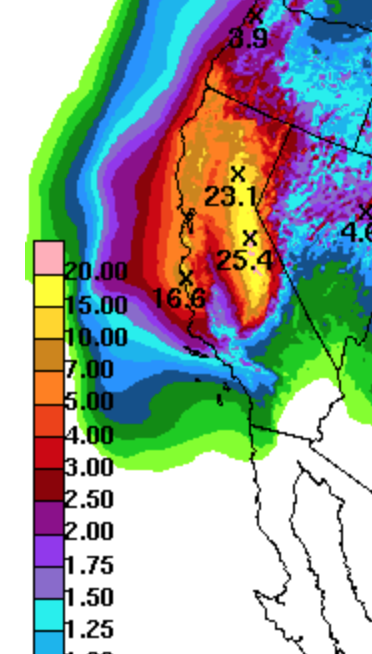 And, if it is difficult to read, a 16.6" amount along the central coast. It will take a few days for the flooding to develop. But, by this time next week, I expect significant flooding to be in progress.